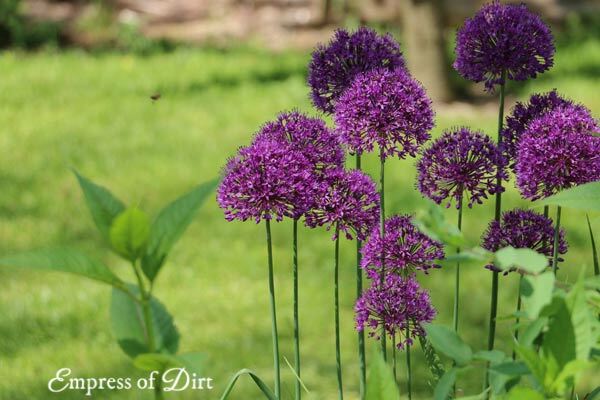 Alliums are those gorgeous flowering perennials in the spring garden with the big, round purple flower heads on tall, green stems. They are easy to grow, attract bees and butterflies, and (bonus) deer and rabbits don’t like them. This is part of my Best Flowering Plants for a Cottage-Style Garden series. I love alliums. Just as the early spring tulips and daffodils are finishing up, it’s allium time. There’s nothing quite like these tall, bold flowering plants with their giant purple flower heads. As winter fades out, there are few food sources available, and the bees go wild for them, marking the transition to the warm growing season. 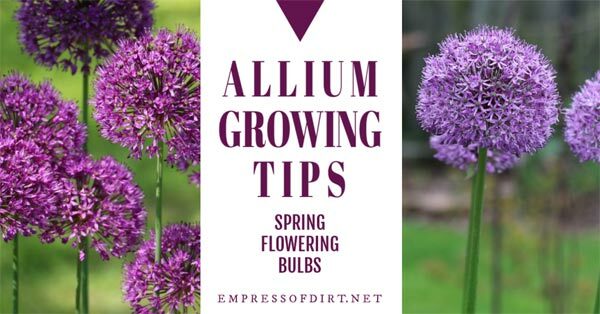 Alliums are bulb plants. 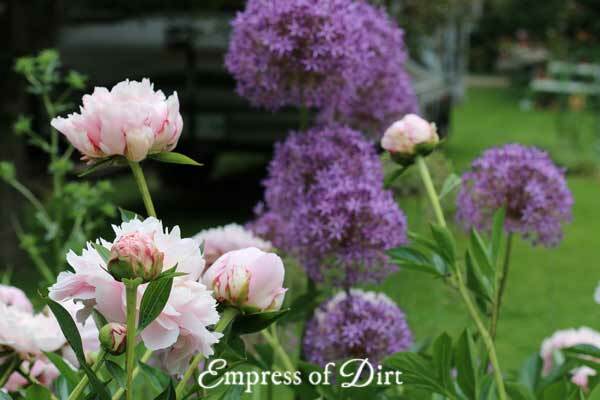 Planted in fall, they will flower in spring, and provide blooms for several years to come. The bulbs will gradually multiply, and the original bulbs will gradually weaken or die off. At some point you may need to divide the bulbs to give the babies adequate growing space. 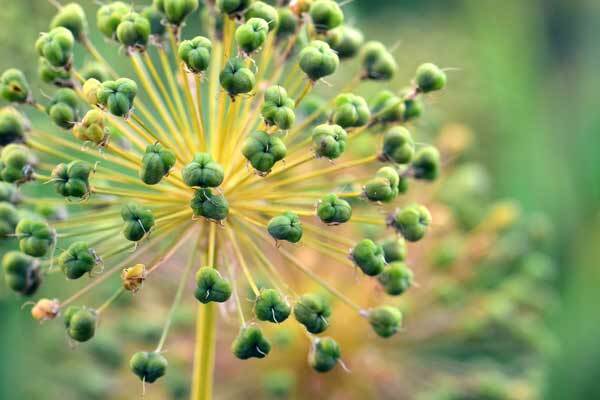 Allium flowers also produce seeds, which may sprout in the garden as well. I’ve certainly found that alliums spread around my garden (which I love), but I’m not entirely sure if it was by seed or bulb. I’d blame the squirrels, although it’s unlikely they would dig up a bulb that smells like onion. Alliums are monocotyledonous flowering plants. This genus has hundreds of species including chives, garlic, leek, onion, scallion, and shallot. Trivia | The word allium is Latin for garlic. Allium sativum means ‘cultivated garlic‘. Some alliums are edible; some are strictly ornamental. The pungency of edible alliums is determined by the sulfate content of the soil: the more there is, the stronger the flavour. After Blooming | Allow foliage to die off naturally as it provides fuel for next year’s growth. Cut off finished blooms to encourage new flowers or allow to dry: they are pretty in the garden but can spread seeds (I’ve not found this to be a problem). I don’t have the names of the alliums in my garden. The first batch were given to me in an unmarked bag by someone in our local horticultural society (love that!). If I find the name, I’ll list it here. My favourites have deeper colours and huge flower heads. I like flower drama! 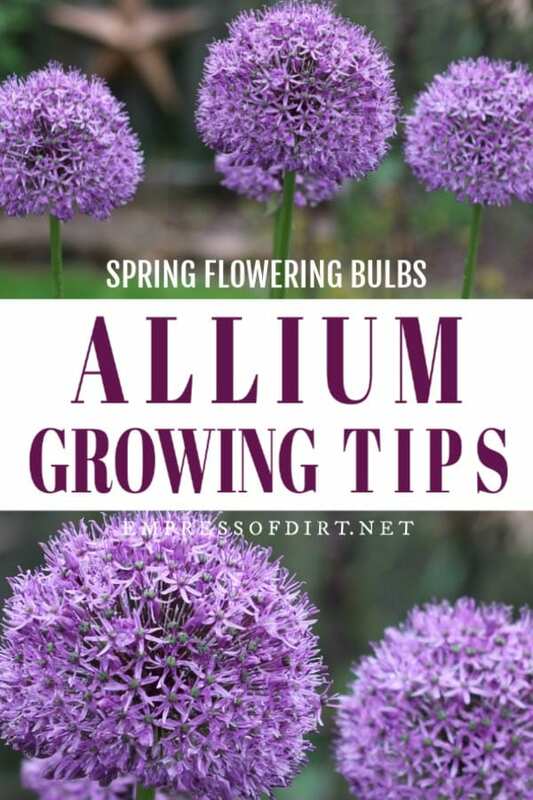 When buying alliums, read the info carefully. Are they bulbs or seeds? Bulbs are going to grow flowers the next season. Seeds will take a lot more time. Also check how large they are expected to grow, the flower color (they can vary greatly from almost white, to mauve, to purple, and reddish-purple), and growing preferences. 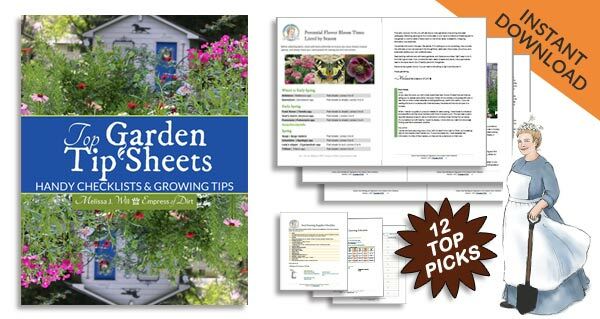 The most common ones like sun and well-drained soil but there are also varieties that enjoy partial shade and drier conditions. I love over-sized garden art. 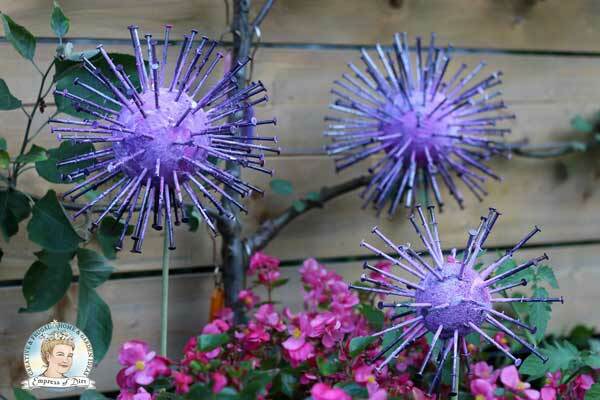 To recreate the beauty of alliums, I came up with this DIY garden art allium project using items from the thrift shop.